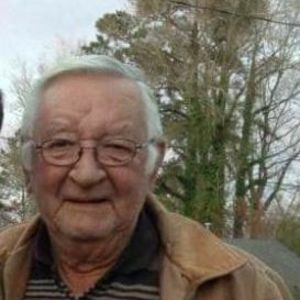 James " Spookie" Feltwell, 82, of Bladenboro passed away on Wednesday, February 13, 2019. He was preceded in death by his wife: Mattie Jane Feltwell, one son: Jimmy Feltwell, one granddaughter: Amanda F. Bullard and two grandsons: Jamie Feltwell and Ikie Stocks. Spookie is survived by one son: Ikie Feltwell of Bladenboro; five grandchildren: Chris Feltwell, Joseph Feltwell, Jason Gillespie, Alyssa Britt, and Heather Burns and 12 great grandchildren. A memorial service will be held on Thursday, February 28, 2019 at 4:00pm at Lewis Cemetery. A private burial was held on Tuesday, February 26, 2019. In lieu of flowers, donations may be sent to the Funeral Fund of James "Spookie" Feltwell c/o Bladen Gaskins Funeral Home, P.O. Box 3150, Elizabethtown, NC 28337.